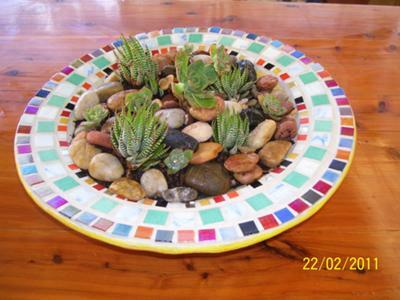 Succulents have become very popular in Australia due to water restrictions. I was given this bowl and my husband drilled holes in the bottom for drainage. I mosaiced the edged of the bowl and planted succulents.